Choose “MS Dynamics” from the i) Embedded Thermometer type drop down box. In MS Dynamics, go to “Settings” >>”Options” >> “Email Templates”. 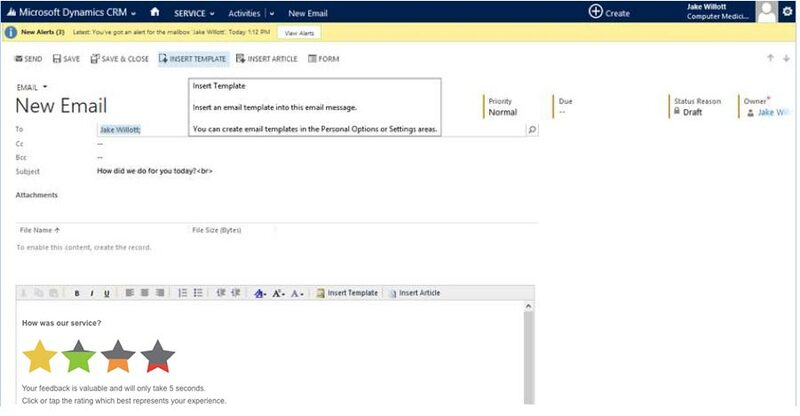 Click “New” to create a new email template (or edit an existing one), it doesn’t matter which type you use. If you then edit further, you will see the fields have gone yellow. 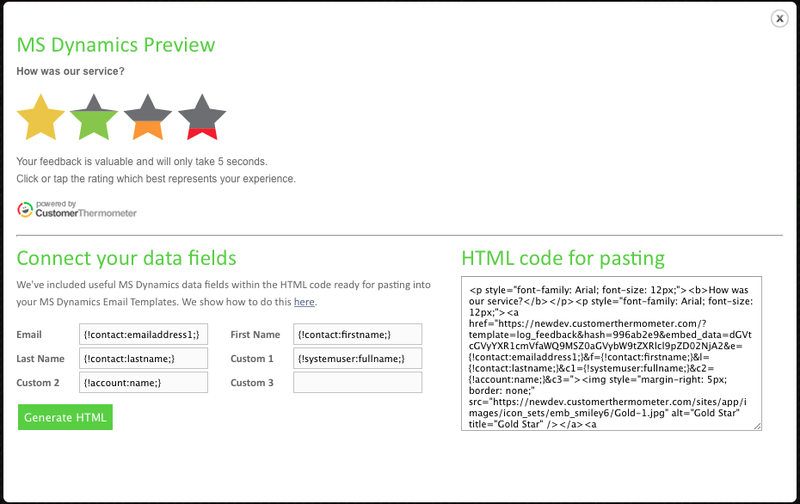 This shows that they are correct and correspond to Microsoft field codes. 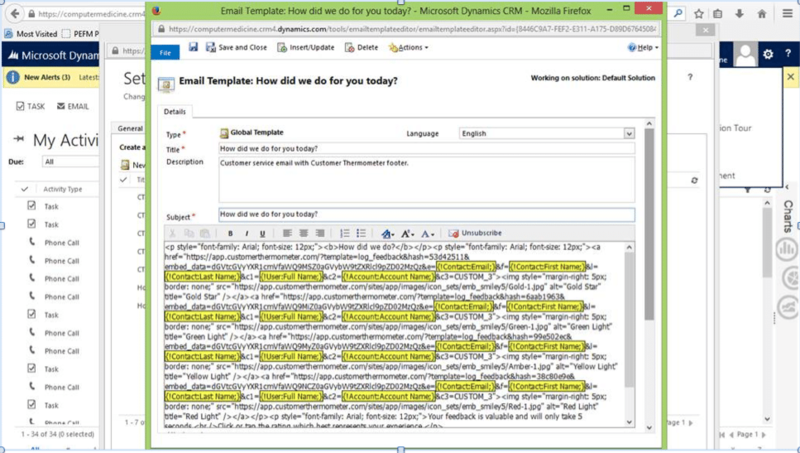 Your Customer Thermometer and Microsoft Dynamics integration is now ready for use. Responses and comments will be registered, alongside your customer data from Dynamics within your Customer Thermometer reporting area. 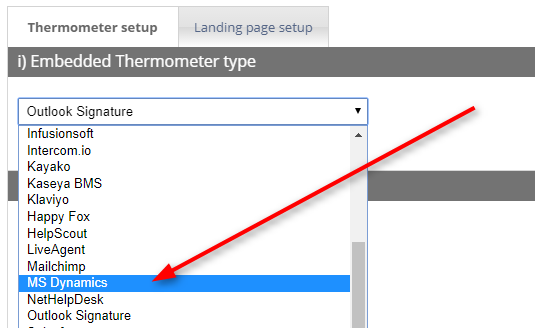 Once you’ve embedded your Thermometer into MS Dynamics, you’ll need to finalize your landing pages. You can enable a comment field, add your logo, customize the wording, and lots more!